As we brave the bitter sub-zero temperatures of January in New Hampshire, many of us have found ourselves wishing for warmer climates and sunny beaches. George Kaknes ‘71 spent thirty years of his life living in some of the most beautiful places on earth as he helped families fulfill their travel dreams with an international tour agency. After a lifetime of worldwide adventure, he has found his way back home to New England and reconnected with Proctor. In this Alumni Profile, George reflects on the lessons he learned as a student. Tell us a little about your childhood and how you found yourself at Proctor? When I was in middle school in 1966, my parents took me to Belmont Hill outside of Boston. It was during the admission process that the admission director recognized that I had a learning challenge and recommended that I be tested by Dr. Edwin Cole, a pioneer in the research of learning disabilities. After extensive testing, it was determined that I had dyslexia and that I would need specialized remediation. He recommended Proctor Academy. We visited Proctor on a cold, snowy December Saturday during Christmas break. 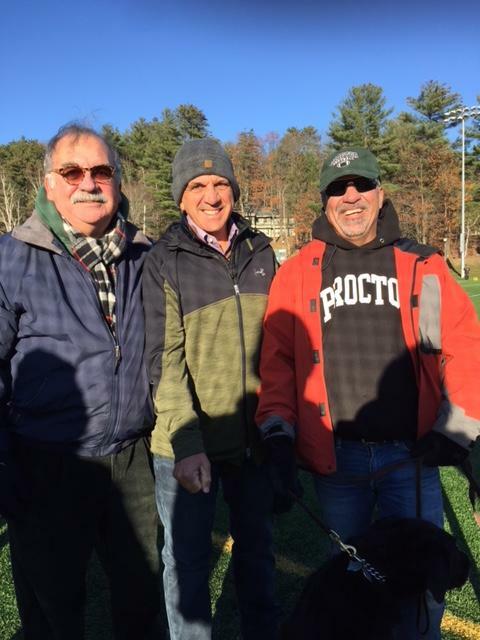 Mr Ernest Sherman, Assistant Headmaster, took time from his holiday activities to show us the warm and welcoming environment that is Proctor. The following September I arrived at Mary Lowell Stone ready to begin an incredible journey that has defined the rest of my life. What were the most memorable experiences you had at Proctor? Are there lessons you learned that still apply to your life today? The most memorable thing about Proctor was the positive attitude and encouragement that I received from faculty and friends. It is a characteristic that is uniquely Proctor - I had not realized such an attitude in my life before Proctor, and unfortunately, have observed it to a lesser degree since. There were many moments at Proctor that made a specific impact on my life. One of these was during my freshman year at Proctor; I was fortunate to be one of two students that had Alice Fowler as our reading teacher. I had come to Proctor thinking that I would never catch up due to my dyslexia. Alice not only taught me to read, but to love reading. I went on to major in English at Washington and Jefferson College and to study at the graduate school at UNH, something that the 14 year old me would never have thought possible. I learned the value of approaching learning with positivity and patience, which has carried me forward in my adult life. Who were your mentors here? There were so many mentors that guided me during my years at Proctor. I credit the growth that I experienced not only to the faculty that challenged me to learn and the coaches that encouraged me to try, but also to the friends that accompanied me on the journey. 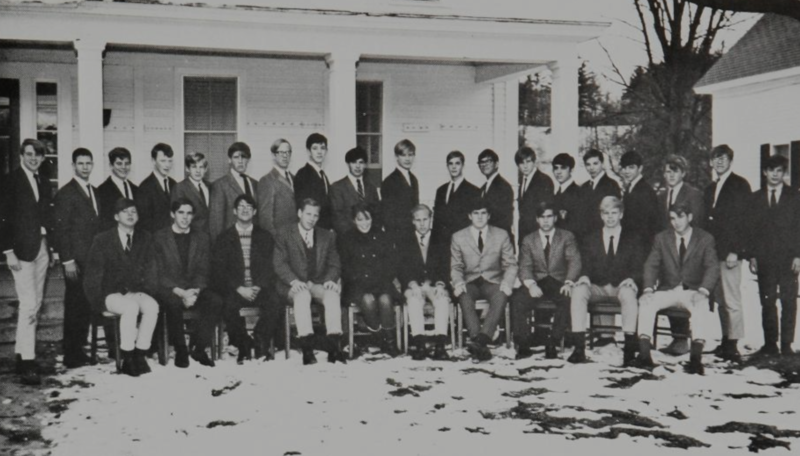 I look back on my over 40 years since Proctor and wonder what my life would have been without the Bellefeuilles, the Norris’, the Fowlers and all the faculty, friends, and staff that help me make my Proctor years enriching and rewarding. 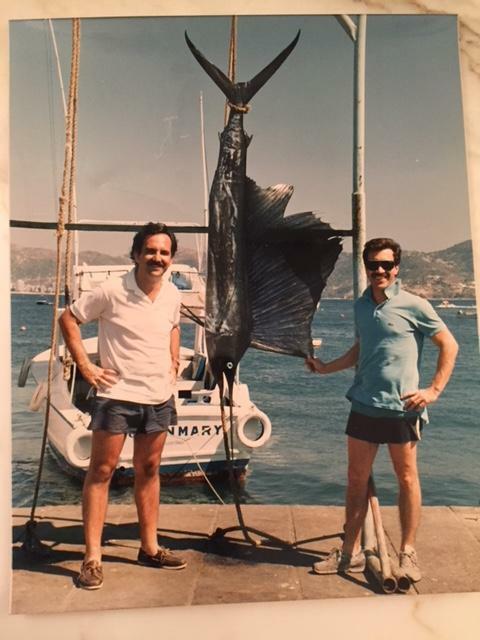 George, with brother Greg, when George lived in Acapulco, Mexico. After Proctor I went to Washington and Jefferson College outside of Pittsburgh, PA. In 1971, Pittsburgh was still an industrial city and coming from the beautiful hills of New Hampshire, it was quite a shock. I enjoyed my years at W & J, but looked forward to continuing my education in New England. While studying at UNH that I was offered an opportunity to work as a tour guide in Scandinavia for the summer. I thought that I’d take a couple of months and see Europe and then get a “real job”. That summer turned into over 30 years of traveling the world and living in some of the most exciting places on Earth. I managed the overseas operations for a large international tour agency. Moving every few month from Copenhagen and Stockholm, to Munich, to London and Martinique, FWI. Finally settling in Monte Carlo, Monaco, where I lived for several years, managing my company’s business in the western Mediterranean. It was an exciting time to be young and living in one of the world’s most fashionable resorts. Exciting, but not realistic. I had a desire to settle down at home in New England. I moved back to Boston and worked for a few years doing product research which demanded almost constant travel. As interesting as that was, living out of a suitcase was less appealing. I was offered a position to manage our operation in Hawaii. For the next several years I lived in Honolulu and travelled around the Pacific. While in the islands, I got married and we were transferred back to Europe. We lived for the next five years in Madrid and in London. Our daughter was born during our time in Spain and by the time that she was ready to begin school, we decided to raise her closer to family. We built a home in Williamsburg, VA and I opened a travel and tour company managing corporate conventions. Our son was born in Williamsburg and suffered from developmental delays as a baby. He was later diagnosed with autism. 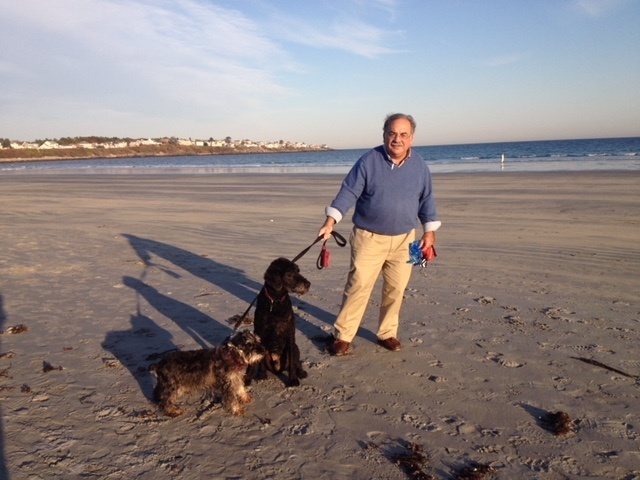 His needs demanded much more attention than I could give him while traveling so I retired from the travel business and moved back to York Harbor, Maine to be closer to my family and to enroll Trey in a program for people on the autism spectrum. I became a licensed realtor in Maine and New Hampshire and I enjoy working with families that choose, as I do, to make New England home.